Brief Synopsis – A unknown older baseball pkayer joins a big league team and tries to help them climb the standings in order to win the division. My Take on it – When listing the best and most inspirational baseball movies, it’s hard to overlook this film. I have always felt inspired and awed by this majestic story even since I saw it in the theater 30 years ago. The message about chasing dreams despite obstacles is such a great one. The musical score is awe inspiring and adds to the epic feel of this film. Robert Redford is great as the lead because he is able to show both talent and integrity in his actions on and off the field. Bottom Line – Very inspirational baseball story about chasing your dreams no matter the difficulty. Iconic music adds to the epic feeling of this spirts film. Redford is great as the lead who shows integrity and talent in everything that he does. Highly recommended! 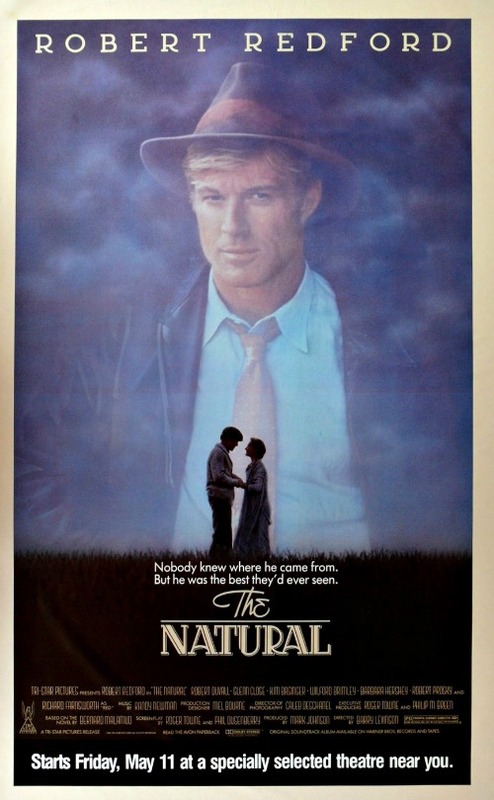 One of my favourite Robert Redford films 🙂 Relating to your trivia, I have no idea why baseball movies work so well on screen. odd they didn’t back it, though I suppose a lot of the best sporting movies happened after.